Sensitive pets will love this grain, cereal, preservative and gluten-free hypoallergenic recipe. Boosting immunity with meticulous nutrient ratios, whilst carefully managing the number of ingredients, keeping the risk of intolerance low. Lovingly made with turkey and gently cooked vegetables to ease digestion. All our ingredients are ethically sourced ensuring reliability and traceability throught every stage of production. We're also proud supporters of our British farmers. 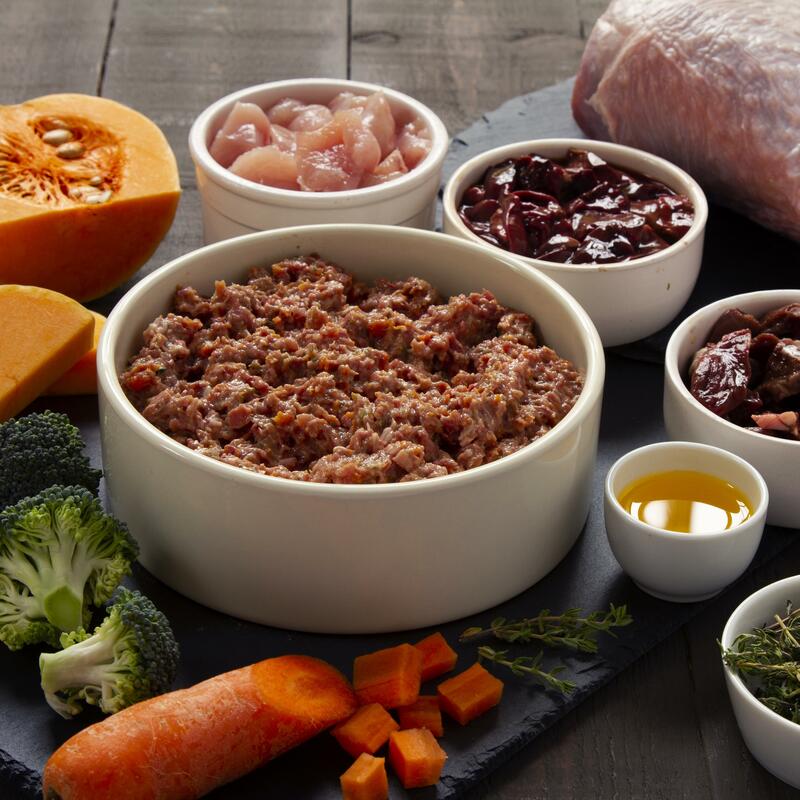 Lean turkey meat with bone, turkey liver, turkey heart, cooked butternut squash, carrots, broccoli, salmon oil, and fresh Thyme. Nutritional additives per kg: Vitamin A 2000 IU, Vitamin D3 100 IU, Vitamin E 20mg. Trace elements: Iron Sulphate 10mg Manganese Sulphide 2.5mg. Due to the nature of our strict packaging policies and to ensure maximum freshness - we only send parcels in multiples of 10kg's. £5.00 delivery charges are applied only to 10kg orders. Orders of 20kg or over will receive FREE delivery. 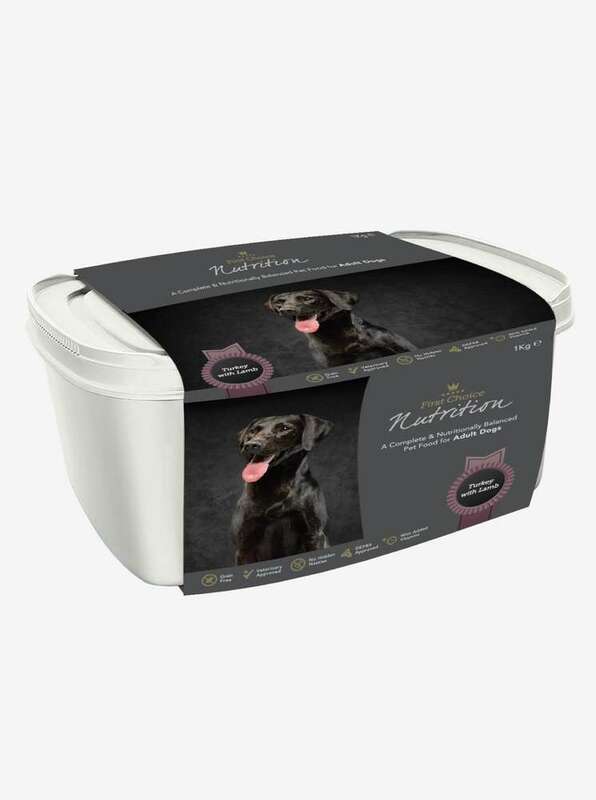 Lean and delicious, Chicken Complete is a single meat protein source, perfect for dogs transitioning to a natural raw food diet. Gently cooked vegetables, seasoned with oregano, are lovingly hand-prepared in our kitchens. A best seller. 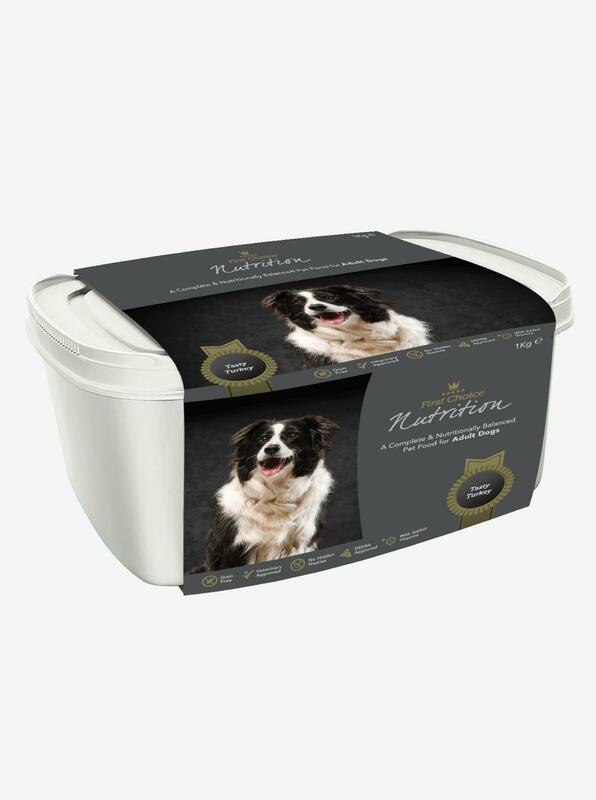 Appetizing turkey and lamb, specially blended for variety and the upmost vitality of your dog. Convenient, fresh and incredibly enjoyable, with all of the flavour and nutrients your pet loves. This site is Copyright © 2018 First Choice Nutrition Ltd. All rights reserved.